Bradford College is an award-winning institution based in Bradford, with a national reputation for excellence. 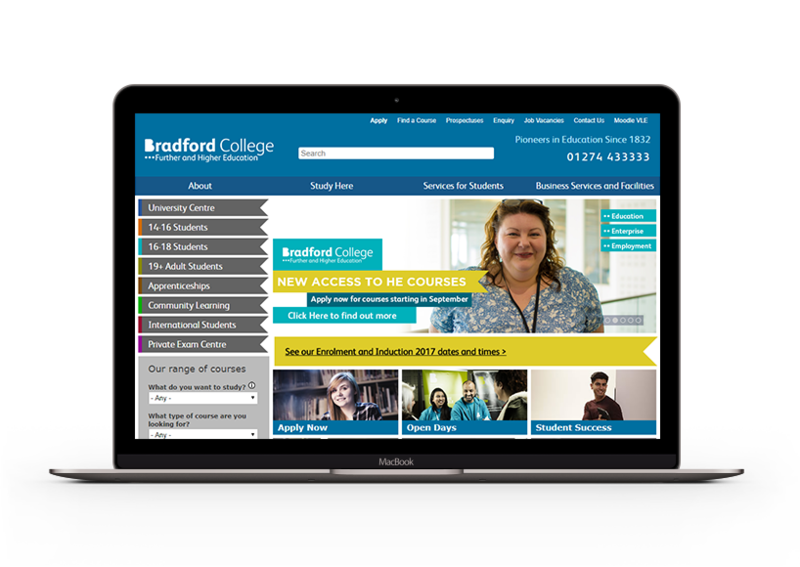 Bradford College wanted to increase applicants for its places across a range of courses. Harrison Mann developed a strategy to utilise PPC, Facebook, and Online Display to drive students looking for a course in the new school year. Harrison Mann developed a secondary branding campaign to increase awareness of the range of degree courses that the college offer. All campaigns were geo-targeted using data provided by Bradford College to ensure we targeted areas that students typically apply. We also devised a strategy to help penetrate areas that traditionally have a low uptake rate to promote the college further. In-depth research was required to allow the campaign to target school leavers with interest in certain courses. Therefore, we looked at social media platforms with a large following of 15-16 year olds and constructed multiple campaigns to get in front of this demographic in order to make them aware of the courses on offer at Bradford College. We used a mix of PPC strategies to target school leavers searching for the next step on Google; this was not simply a case of target people searching for local courses, but also those looking at apprenticeships and work-based study. As well as this, we advertised on Facebook and through re-marketing to keep Bradford College at the forefront of people’s minds. We needed help with a range of paid advertising – from Google, Facebook, LinkedIn & Twitter. The team at Harrison Mann achieved some great results for us and helped ensure that our targets were met. 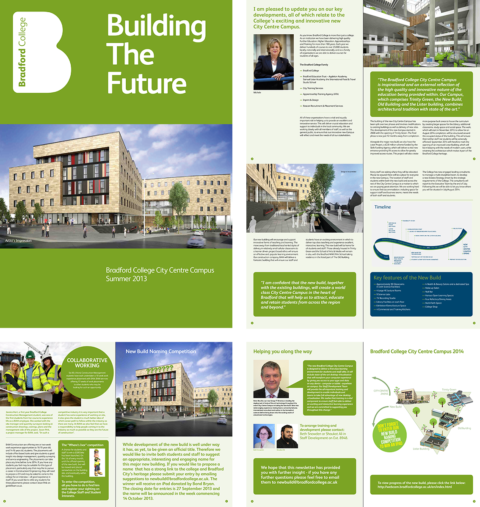 They also provide a range of brochures, banner ads which the team were really happy with.